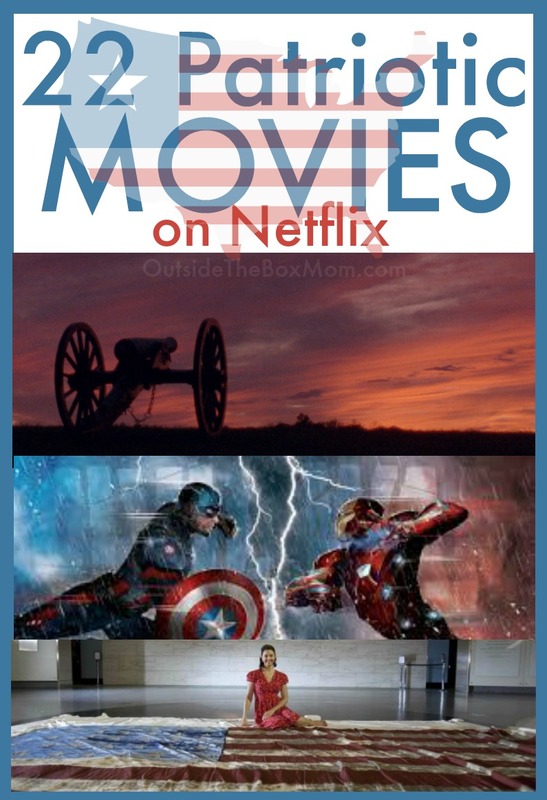 These patriotic movies on Netflix are great to watch during Memorial Day weekend, July 4th (Independence Day) holiday, or any time of year. These titles include everything from movies, TV shows, and documentaries. These are great selections to add to your Netflix list. Feeling patriotic? Salute American sacrifice by watching the best Memorial Day movies honoring the military. Affiliate links used. For more patriotic movies on Netflix, check out this list of President movies on Netflix.